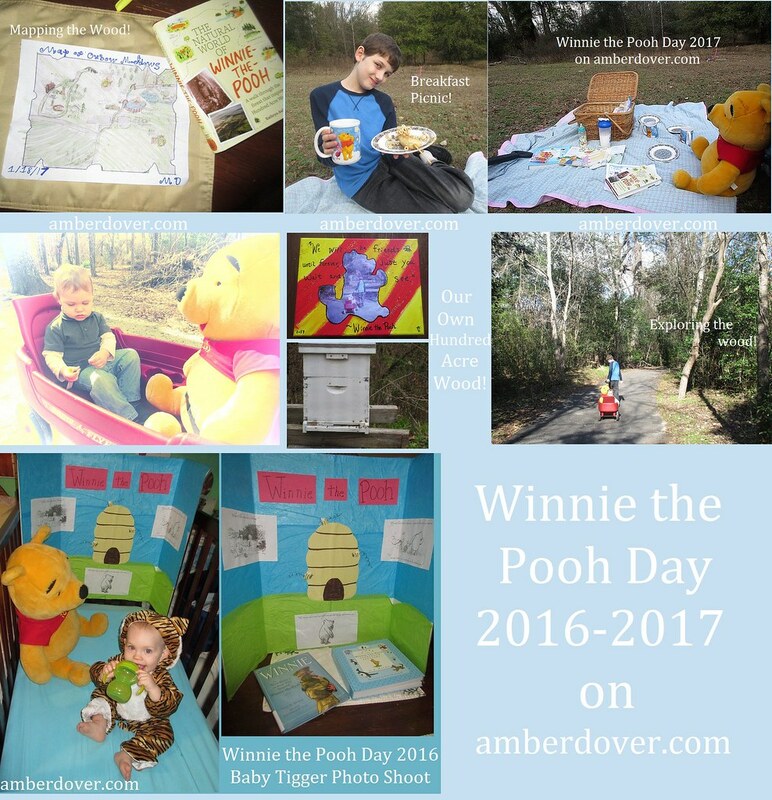 In this post: Join us for a breakfast picnic as we map the Hundred Acre Wood! Also a Tigger Photoshoot for Winnie the Pooh Day! Hello, Dear Ones! Happy Winnie the Pooh Day! I hope you are well. Remember last year I lost about 3 months of posts because of host issues? Well, because of this I am redoing my Winnie the Pooh Day post from last year. Thankfully I have all of the pictures. I’m not writing as much as I did in the original post because honestly, I don’t remember what I said. Still, I have the pictures and links with a brief description. I believe you will still be inspired. Enjoy! Set and Picnic Prep- the link for our first Winnie the Pooh party is at the end of this post. That is where the poster comes from. I found this picnic basket at Goodwill. This is the same place we had the Wonderland Photoshoot and our recent Message of the Birds Tea Party. made our own Hundred Acre Wood map. We also read from The Natural World of Winnie the Pooh. We also learned about bees because Pooh Bear loves honey! Blocks, a puzzle, and flashcards. Michael played Kingdom Hearts. This is the Hundred Acre Wood in the game.